Okay, we’re sorry to leave you hanging there, but first a little background before we reveal the country and city you should be moving to ASAP. 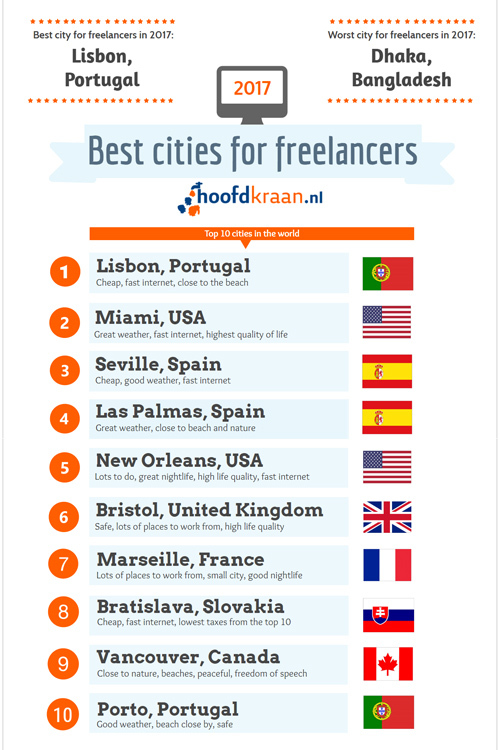 According to a new study by Dutch freelance platform, Hoofdkraan, there is one city that stacks up as the number one city to become a freelancer in. What is this place you ask? Lisbon, Portugal! 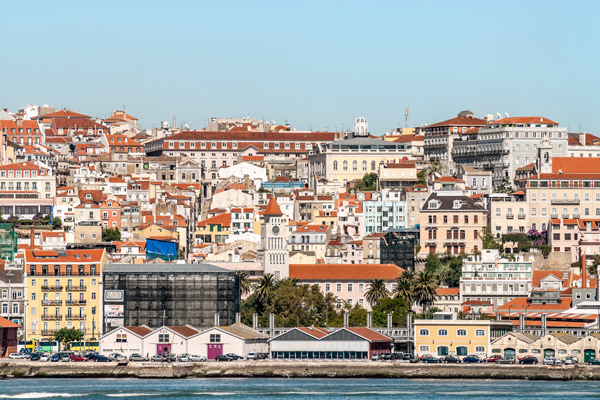 Yes, all you need to do is travel to Portugal — well, Lisbon to be more exact — and your dreams of a successful, work-life balance can be achieved. In the report, the platform reveals the top 10 countries to live and work in for freelance-specific jobs. It also showed the worst freelancer cities, like Dhaka, Bangladesh (the bottom), St. Petersburg, Russia, and Beijing, China. The results are thanks to a number of different qualifications. It’s based on Internet speeds (a must for all freelancers), housing prices, workspace availability, quality of life, safety, freedom of speech and 17 additional factors. 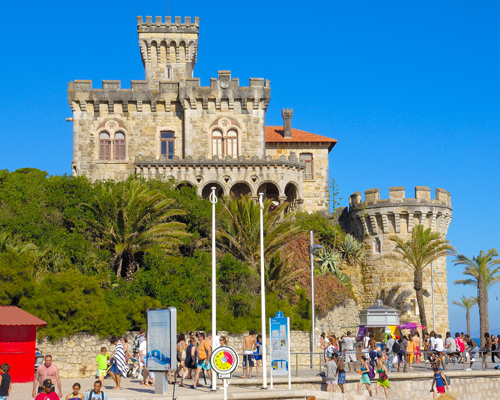 In addition to Lisbon as the top contender, Miami, Florida and Seville, Spain ranked in the top three. As you can see from the list below, being near the ocean definitley helps round out the “quality of life” area. Check out which countries made the top 10 list above! Sound off in the comments on whether or not you agree with the results.